Veterinarian MVB Dublin Ireland 1984. Denis graduated in Dublin, Ireland in 1984. He & Darina came to Australia in 1987. After 6 years at Kyneton (north west of Melbourne) in a very mixed practice the family (now 3 young kids) moved to Torquay in 1993, to set up a veterinary practice from scratch. They found it to be such a wonderful place they intend to stay here forever! When Denis is not at the vets, he often spends time at continuing education conferences, bringing the wealth of knowledge gained back to the practice to share with all the other staff. Everybody working at the practice is encouraged to keep their veterinary expertise up to date with the latest developments. Denis has interests in all aspects of veterinary practice – especially diagnostic imaging and surgery. He is also interested in communicating very well with clients, using available forms of imagery in explaining the diagnosis that the team works so hard to arrive at. For many years Darina worked as nurse, practice manager and receptionist. 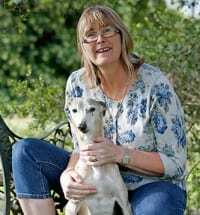 She has well over 20 years experience in the veterinary nursing field and still is the number one call back nurse for emergency care. This is a part of the job that means she has been ‘on call’ for sick and injured animals for a very long time. A job she takes great pride in, because she has great empathy for the pets she cares for. She has been involved in many life saving procedures. 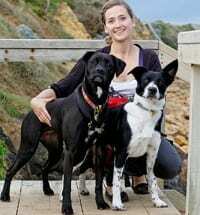 I began my veterinary career working in mixed animal practice on the Bellarine Peninsula before deciding to focus on the care of companion animals. This led me to working in busy urban clinics in Melbourne and then in Sydney where I was the head veterinarian and manager. I spent 2008 based in the UK where I locumed in a small animal clinic in Romsey, Hampshire and was able to travel within Europe. I started at Torquay Animal House in 2009 and have been able to focus on my interests in surgery, dentistry and care of older pets. Torquay Animal House is a fantastic team environment and it is a joy to be able to provide high quality pet care with motivated people in a great part of the world. I have a very spoilt 10 year old Kelpie x Blue Heeler, Mack and when I am not at work you can probably find us walking on the Bells track with the kids or surfing at one of the local breaks. 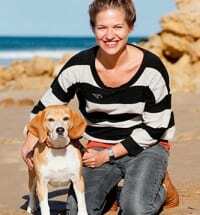 Lara has years of experience in the nursing field before completing her Bachelor of Veterinary Science. Lara brings very valuable experience to the team and an enthusiasm for our practice ethics and standards that is very refreshing. 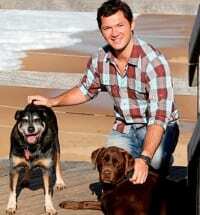 Having grown up on the Surfcoast, I moved to Queensland to complete my studies in Veterinary Science. After I qualified I then decided to move to the Central Coast of NSW where I worked in a busy small animal practice for a couple of years, being exposed to various aspects of small animal veterinary medicine and surgery. 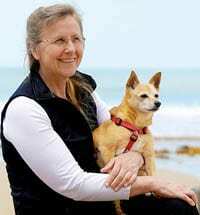 Deciding to be closer to family, I moved back to the Surfcoast and am now enjoying working with the team at Torquay Animal House. 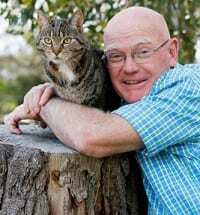 Having worked in both mixed and small animal practices I am delighted to concentrate all my efforts on companion animals. I have a keen interest in preventative health and dentistry in both dogs and cats. I attend continuing veterinary education conferences in the aim of keeping up to date with the latest treatments and procedures for your pets. I have two beautiful mongrels who just love to go swimming and running on our beautiful local beaches. Lucy is a boxer cross and the latest addition to the family is Arthur, a border collie cross from Geelong Animal Welfare. I started at Torquay Animal House in April 2006. After graduating from the University of Melbourne in 2001 I worked in country Victoria before spending 18 months in the United Kingdom. During my time there, I locumed at many small animal clinics, which provided me with a wide variety of experience. Upon returning home, I spent 14 months working in small animal practice in Eastern Melbourne, before making the move to Torquay. In 2008 I completed the International Veterinary Acupuncture Society Veterinary Acupuncture course. I continue to enjoy all aspects of small animal practice, with a special interest in canine & feline internal medicine and acupuncture therapy. Here at Torquay Animal House I work with a great team of dedicated people providing the best possible pet care. I have been nursing with Animal House since 1998. 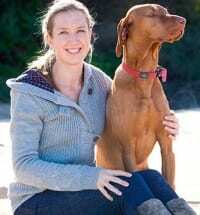 I have always had a passion for patient care & ensuring owners are well informed of their pets needs. My Nursing experiences range from University , Welfare, overseas locums & volunteer work. As the clinic has evolved over the years, so too has my role within it. I continue to attend regular Veterinary Nurse seminars, conferences to keep up with current techniques & advances in the industry. Being a Practice Manager gives me the ability to encourage the team to also give their best, which in turn creating a wonderful work environment. I decided to become a veterinary nurse when my old girl Daisy became ill. The compassion and care that the vet nurses at Torquay Animal House showed me, really made me believe that I wanted to become a vet nurse myself and make a difference. I have always had a passion for animals, but it wasn’t until my children were old enough that I decided the time was right to pursue my dream of working with animals. I studied my Certificate 4 in Veterinary Nursing. I feel very preiveledged to be able to come to work every day, to a place where I can work with a fantastic team. 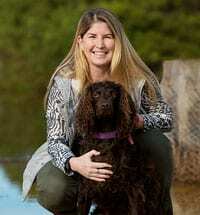 Jade started out her career grooming dogs at the Animal House in 2004, but her love for animals saw her excel in the nursing field once the opportunity arose. The whole grooming experience helped a lot in gaining animal handling skills. Jade has been nursing here for over two years now. Jade works so hard and is so dedicated that we will all be very proud of her for achieving that milestone of her certificate IV in veterinary nursing. Born in Torquay. 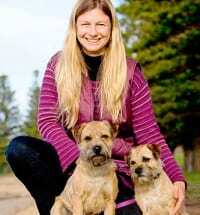 I have worked as a veterinary nurse for over 20 years in both Victoria and Tasmania. Off duty I continue my life long love of animals by studying and painting our native fauna. I returned from Tasmania and joined the professional high care practice with the great team at Torquay Animal House. Born in Wodonga, Rylee always had a passion for animals which stemmed from her grandfathers love for them. Making the move to Geelong in 2018 to study her Certificate IV in Veterinary Nursing she soon joined the Animal House family where she has continued to learn and grow with the help of the amazing team. Her pride and joy are her two pets, Winston, the tabby cat and Charlie girl her Golden Retriever. we are a solar powered practice! We installed 15 KW – 56 solar panels on the vet practice roof in 2015 – we generate 90% of our own power and export plenty to the grid.